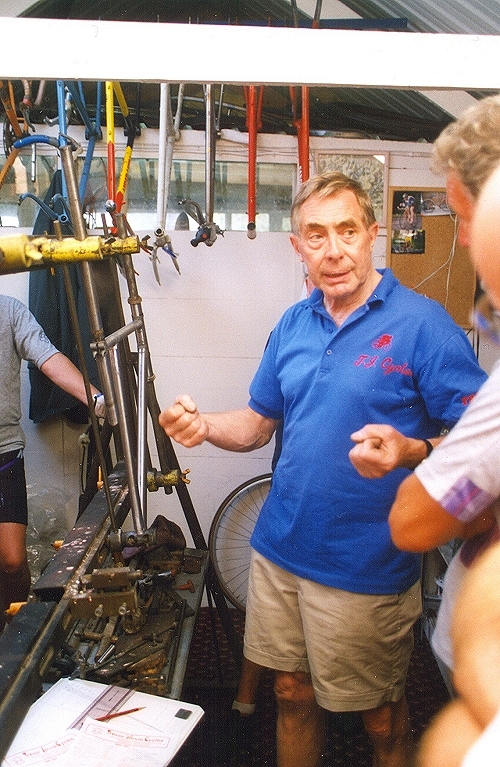 Trevor Jarvis in his workshop during the 1999 'Flying Gate' Weekend. "You just bend the thing to make it fit! " Caption courtesy of Mike Thompson, Monroe, Louisiana.